(Abilene) – Two employees at Texas State Technical College in Abilene have been honored for their dedication and service. Matt Briggs, the clinical coordinator for the Emergency Medical Services program, and Susan Cowart, an instructor for academic English and Humanities, were selected to receive TSTC’s Chancellor’s Excellence Awards. “The Chancellor’s Excellence Award is a yearly recognition for teammates who consistently go above and beyond their normal job duties to improve our students’, and/or our College’s, success. Matt and Susan display, on a daily basis, these lofty attributes,” Rick Denbow, provost at TSTC in West Texas, said. The Chancellor’s Excellence Award began in 2001 and has been given to more than 300 TSTC employees statewide. Recipients are nominated by their peers for their work toward advancing the technical college’s mission. Briggs joined TSTC in 2015 and said he was shocked by the recognition. He says he is determined to find out who nominated him so he can say thank you. “It’s just such an awesome honor because there are so many people who are doing their job really well, and to be recognized as one of those people makes me want to keep going and do even better,” he said. Briggs said TSTC has become part of his family and he loves working with people who have the same passion as he has. “My favorite part of this job is watching our students walk across that stage and graduate because you know they are about to make a positive impact on the world,” he said. After working as a paramedic for nine years, Briggs felt called to enter the education world and help people in a new way. He hopes to help expand the EMS program at TSTC and spread awareness of the need for more EMS professionals. Cowart was also surprised to learn she was a recipient of the Chancellor’s Excellence Award. “I was in a state of shock because I haven’t been here very long, but it felt so validating,” she said. Cowart began teaching English and Humanities classes at TSTC in 2015. She teaches both online and in-person classes. “Education is so powerful. And if I can help these students become good communicators, that opens so many doors on top of their technical skills,” she said. Cowart earned her bachelor’s degree in English from Louisiana State University at Alexandria and her first master’s in English from DePaul University. She decided to pursue a second master’s in Education Technology and Instructional Design from Texas A&M University-Corpus Christi to better serve her students. She completed the degree while continuing to teach her regular course load. 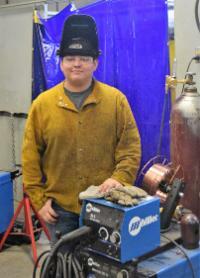 “I am so glad I am at TSTC in West Texas because there is a definite sense of family and support here. It just makes you want to do your best,” Cowart said. Briggs and Cowart will join 33 other TSTC employees statewide who will be honored at the National Institute for Staff and Organizational Development’s Excellence Awards Dinner and Celebration in May in Austin. 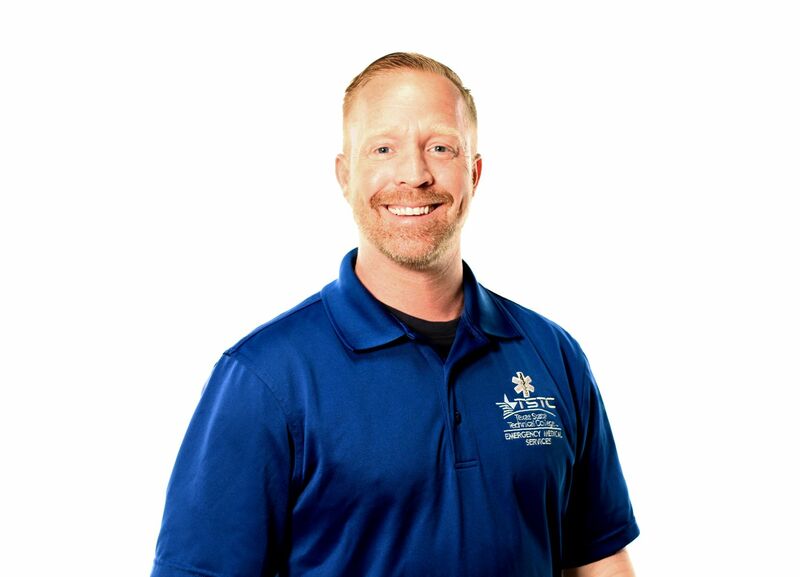 Matt Briggs, from Texas State Technical College in Abilene, is the Clinical Coordinator for the Emergency Medical Services program. He was awarded the Chancellor’s Excellence Award. Susan Cowart, from Texas State Technical College in Abilene, teaches academic English and Humanities. She was awarded the Chancellor’s Excellence Award. This entry was posted in Abilene, West Texas and tagged Abilene, Chancellor's Excellence Award, TSTC, TSTC in Abilene on April 10, 2019 by Sarah Trocolli. 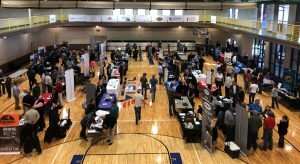 (SWEETWATER) – More than 180 Texas State Technical College students and alumni attended the TSTC Industry Job Fair in Sweetwater on Tuesday, April 2. They had the opportunity to meet representatives from some 50 local, national and international companies. TSTC provided free transportation to the Sweetwater campus for students coming from the Abilene, Breckenridge and Brownwood campuses. Students talked with representatives from companies looking to fill positions in various fields such as diesel, electrical power and controls, industrial maintenance, nursing, welding, and wind energy. It was the first time some companies had visited the West Texas campus. “I was surprised that TSTC had an RN program out here, and now that I know, we fully intend to take advantage of having this local resource,” Tara Camp, community marketing liaison for Cogdell Memorial Hospital, said. For others, this was an event marked on their calendar every year. “I go to as many of the job fairs that TSTC does as possible because of the type of training the students get and just the type of personality these students have. Their hands-on experience shows, and they have the willingness to keep learning on the job,” Bret A. Martinets, Human Resources manager at M&S Engineering, said. The event was a homecoming for TSTC diesel program alumnus Josh McBride of Bruckner’s Truck Sales Inc.
“I hope these students just keep their eyes open and learn from every opportunity because it pays off,” McBride said. Representatives from Oncor Electric Delivery spoke with students from TSTC’s Electrical Power and Controls, Industrial Maintenance, and Wind Energy programs and offered on-site interviews. “We’ve got 10 positions we need to fill in Odessa alone, so there is a huge need across the state,” Brad Villa, M&C supervisor at Oncor, said. TSTC in Abilene Electrical Power and Controls student Anthony Neighbors said he was impressed with the company turnout and hopes to find a job that allows him to travel. “I’m a single dad, so I want something that provides for my son but that also lets me enjoy new places,” Neighbors said. Neighbors spoke with representatives from Koenig & Bauer and said he felt like he had found the place for him. For more information on Texas State Technical College, log on to tstc.edu. More than 180 students and alumni attended the TSTC Industry Job Fair at TSTC in Sweetwater. More than 50 companies were represented. 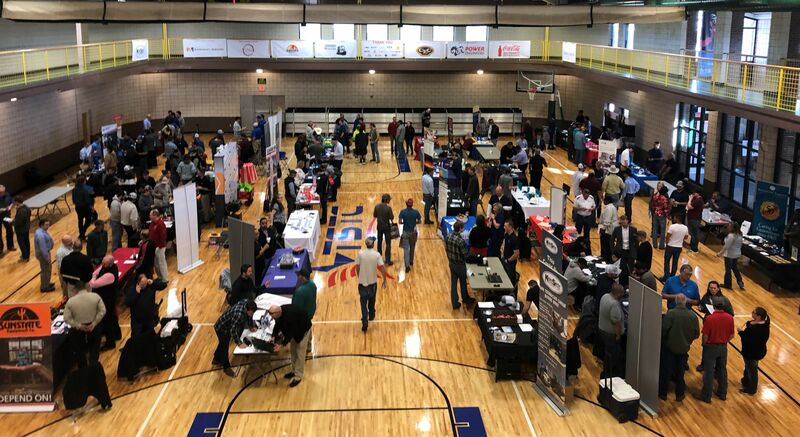 This entry was posted in Abilene, Breckenridge, Brownwood, Sweetwater, West Texas and tagged Abilene, Breckenridge, Brownwood, industry, job, job fair, Sweetwater, Texas, Texas State Techni, TSTC, TSTC Alumni on April 3, 2019 by Sarah Trocolli. 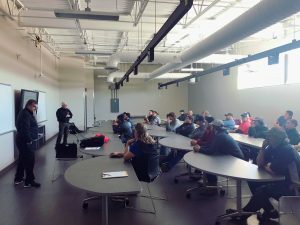 (ABILENE) – Representatives of a Houston company recently spoke to Electrical Power and Controls program students at Texas State Technical College about industry growth and the jobs outlook. “We want TSTC students because we know that what they’re learning in the class is what we need in the field. We’ve hired students from TSTC before but this new location means more potential talent,” Alan Postiglione, Business Development Manager for Absolute Testing said. Founded in 2008, Absolute Testing Services, Inc. has grown from having five technicians to an organization that serves customers internationally. 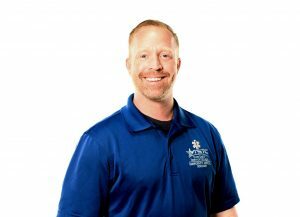 One of the first five technicians was TSTC alumnus Blake Forester.Forester graduated in 2003 from TSTC in Waco with an Associate of Applied Science degree in Instrumentation Technology. 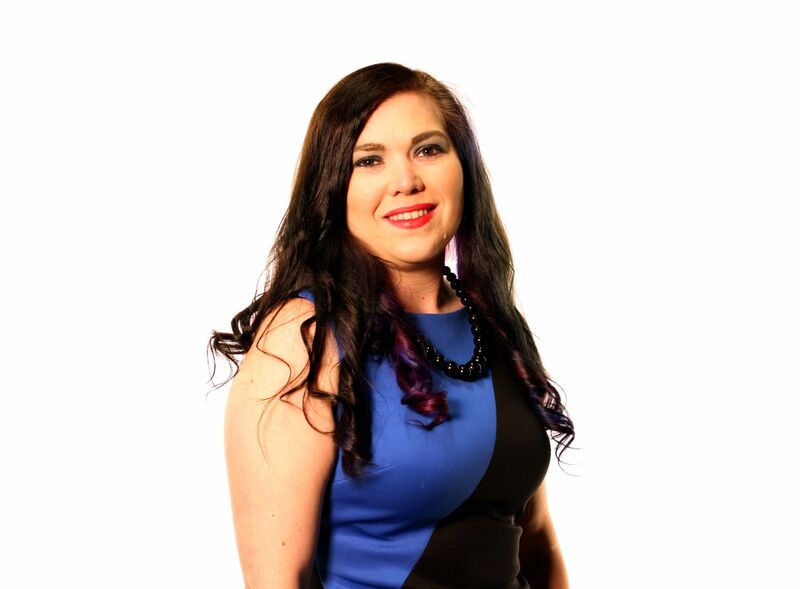 “Absolute drew me in because I would get the chance to start with a company from the ground up,” Forester said. “Since then, it’s been the people who are amazing and that they keep us busy with all different types of work that make me happy to be here. He is not the only TSTC alumni recruited by Absolute. Cody Lindsey graduated from TSTC in Waco’s Electrical Power and Controls program in 2014 and started working for Absolute. “You’re never treated like a number. (Absolute) is very family oriented and gives you the chance to learn and grow,” Lindsey said. Lindsey says if there was any advice he could offer this class of graduates, it was to never be afraid to ask questions and find a company that aligns with your personal goals. TSTC opened the Industrial Technology Center in Abilene last fall with new programs in Electrical Power and Controls, Instrumentation Technology and Welding. 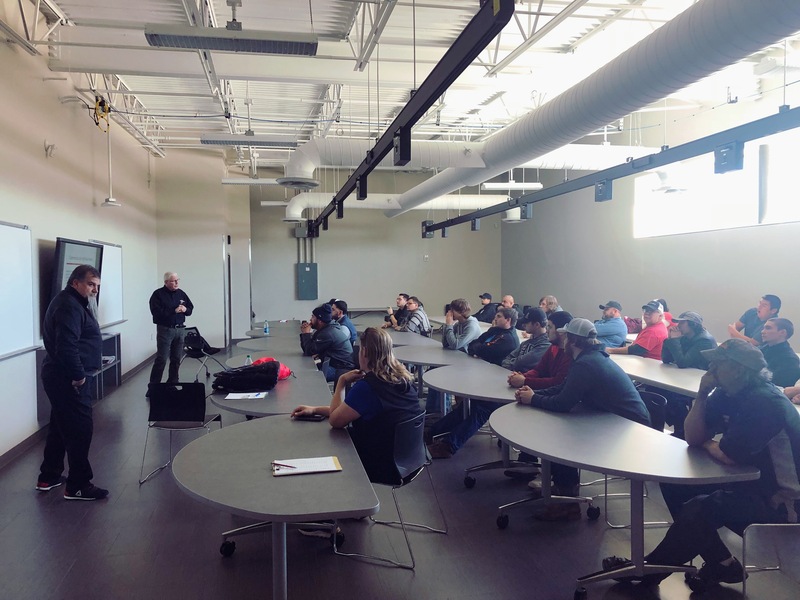 Representatives from Absolute Testing Services, Inc. spoke with TSTC in Abilene Electrical Power and Controls students about career opportunities. This entry was posted in Abilene, West Texas and tagged Abilene, Absolute Testing Services, electric, Electrical, Electrical Power & Controls, EPC, Houston, Inc., TSTC, TSTC in Abilene on March 27, 2019 by Sarah Trocolli. Time for an upgrade? The Emergency Medical Services program at Texas State Technical College in Abilene recently created a program that brings more opportunity to current and future students. The EMS program now gives certified paramedics and emergency medical technicians college credit for some certifications they already have. The certifications are transferred toward earning an Associate of Applied Science degree in Emergency Medical Services Paramedic to becoming licensed paramedics. To take advantage of the program’s credit by certification, a student must already be a certified EMT or paramedic. “When these students graduate, they will have a college degree on top of all the previous certifications they already obtained to work in the field to be more marketable in their job hunt. It helps our students save time and money, and to increase their growth in the field,” Pitts said. Pitts stated that students can save time because instead of having to retake the basic courses to be admitted into a paramedic program, TSTC will accept the Texas Department of State Health Services certifications as college credit after a student credit evaluation is completed along with a $25 fee per course that is transferred. Students are only required to take 15 hours, or 20 percent, of the degree plan at TSTC to earn the associate degree. Randall Noe, a firefighter/paramedic with the Mineral Wells Fire Department, earned his certifications through another institution and was able to transfer all of his credits to TSTC. This will be Noe’s first degree. He is expected to graduate in summer of 2019. Zachary Henderson, a firefighter/paramedic with the Baytown Fire Department, earned his EMT basic certification at TSTC but his paramedic certification through a third party. Henderson chose the program with TSTC because he can complete it online while still working in the Houston area. Henderson is expected to graduate with his associate degree in spring of 2019. Once a student graduates from the program and passes the National Registry of Emergency Medical Technicians exam, he or she can work with emergency medical services, schools, hospitals or as safety officers. TSTC’s EMS program is always accepting applications and hosts an information session every Tuesday at 2 p.m. in the Industrial Technology Center at 2082 Quantum Loop in Abilene. For more information on TSTC, visit tstc.edu. 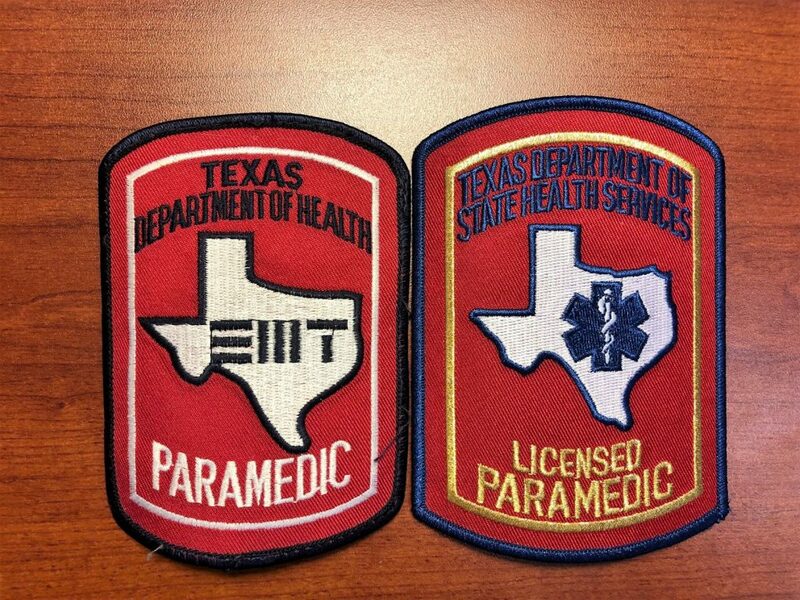 TSTC in Abilene is offering state certified paramedics and ETMs the opportunity to earn an Associate degree and work toward becoming a licensed paramedic. This entry was posted in Abilene, West Texas and tagged Abilene, Associate degree, EMS, EMT, Licensed Paramedic, Paramedic, Texas, Texas State Technical College, TSTC on March 18, 2019 by Sarah Trocolli. (Brownwood) – Education means opportunity, and no one values that more than Alan Acosta, a Welding Technology student at Texas State Technical College in Brownwood. Acosta plans to be the first member of his immediate family, who immigrated from Mexico when he was 6, to earn a college degree. He started working on that goal while still a Brownwood High School student, earning college credit through TSTC’s dual enrollment program in welding. After graduating high school in May 2018, Acosta became a full-time TSTC student working toward a structural welding certificate. The partnership between TSTC and Brownwood High School allows high school students to experience college courses before committing as a full-time traditional student. TSTC welding instructor Stephen Hope believes that dual enrollment allows students the chance to figure out what they want to do in life and learn what opportunities are available. Acosta’s younger brother, Domingo, is following in his footsteps and is currently enrolled in the welding dual enrollment program at Brownwood High. Alan Acosta plans to pursue an Associate of Applied Science degree in Welding Technology at TSTC in Abilene and hopes to graduate in April 2020. TSTC in Brownwood student Alan Acosta is working on a structural welding certificate after completing the welding dual credit program with TSTC and Brownwood High School. This entry was posted in Brownwood, Uncategorized, West Texas and tagged Abilene, Acosta, Alan, Brownwood, Dual Credit, Education, Mexico, Texas, Texas State Technical College, TSTC, Welding, West Texas on February 15, 2019 by Sarah Trocolli. (ABILENE) – Computers and water don’t mix. But water — too much of it — was what led Texas State Technical College alumnus Tony Torres to pursue his passion for computer programming. During the two years that Torres studied for an Associate of Applied Science degree in Database and Web Programming at TSTC in Abilene, he also repaired the couple’s home. Then, in the last semester before his 2016 graduation, he caught pneumonia. Torres’ final project, based on an idea from his wife, was an IOS grocery app that helps create recipes, keeps users on budget and sends reminders about potentially expired foods. “I like to challenge myself, and this was a different type of computer language than what we had studied. But I know my craft and had the tools to do it,” Torres said. Despite multiple obstacles, Torres’ dedication made him stand out to his instructors, and he was awarded the Outstanding Graduate Award and the Provost Award. After graduation, Torres remained in contact with his instructors while honing his skills as a freelancer. When a position for a Database and Web Programming lab assistant opened up at TSTC in Abilene, he got the job. He is currently working on a bachelor’s degree to become an instructor. “TSTC’s top priority is to recruit top talent — and Tony is top talent,” Rhoades said. Torres said his instructors were an inspiration to him, and that’s what he hopes to be for his students. Torres encourages anyone interested in problem-solving to pursue the DWP program. For more information, log on to tstc.edu. 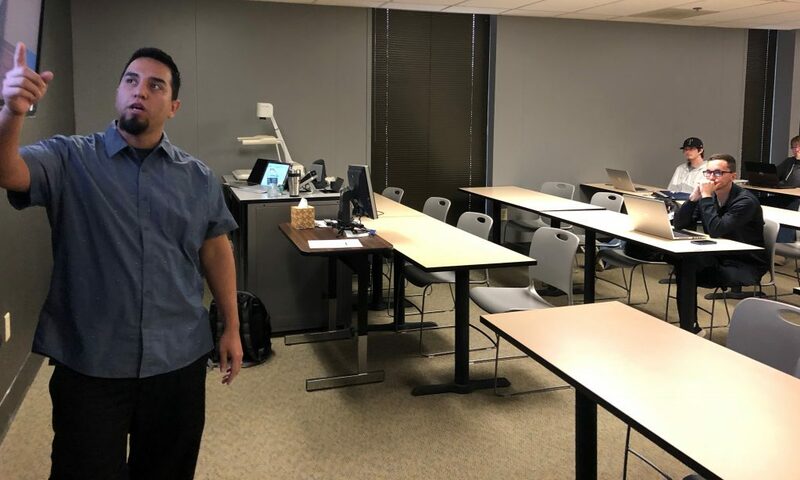 Texas State Technical College in Abilene Alumnus Tony Torres teaches as a Lab Assistant for Database and Web Programming at Texas State Technical College in Abilene. This entry was posted in Abilene, West Texas and tagged Abilene, App, Computers, Data, Programming, Technology, TSTC, TSTC Alumni, Web on February 1, 2019 by Sarah Trocolli.